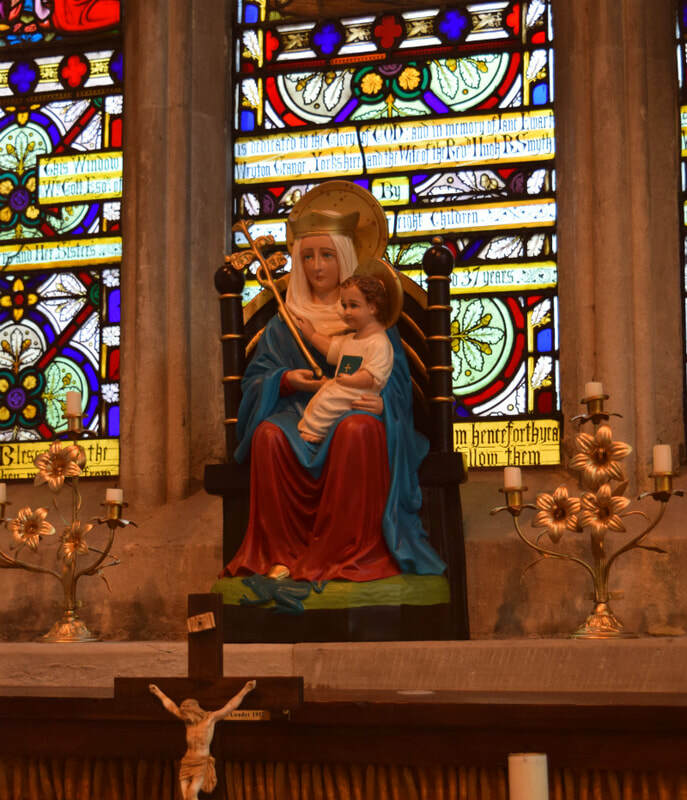 The Cell of Our Lady of Walsingham is essentially a community at prayer gathered around Mary, as the first disciples were on the eve on Pentecost. And so being part of the Cell is to commit oneself to regular prayer, study of the faith, and intercession for the Holy Spirit to renew the whole Church. the translation of the image of Our Lady of Walsingham from the Parish Church to the present Shrine (15 October). To join the Cell, please do get in touch via the parish office. 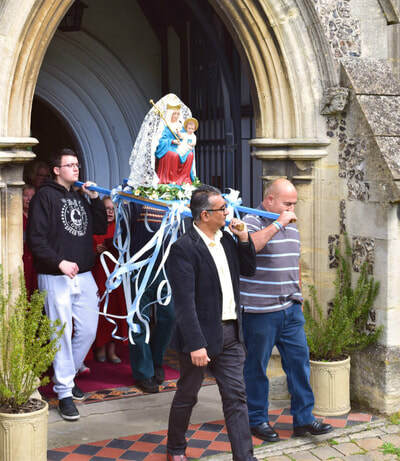 To honour Mary, the Mother of God and to deepen faith in the Incarnation of Our Lord. 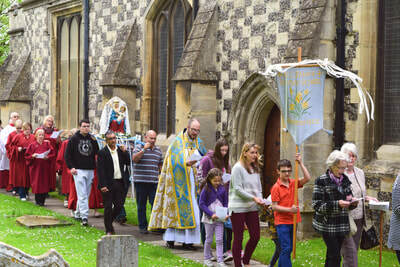 To promote devotion to Our Lady, and pilgrimage to Walsingham. To further, with the aid of Our Lady's prayers, the conversion of the nations to Jesus and unity among Christians. To seek holiness of life through prayer, the Scriptures, and the Sacraments. The Cell was formally re-established in 2016 under the patronage of Mary and of Saint Alban. Everyone is welcome to join and/or to participate to the events and services organised by the Cell.